Successfully hiring, training and maintaining a dental practice staff may require research, experience and inevitably, some trial and error. Managing staff may be an essential part of running an efficient, profitable practice that performs quality services with a high standard of patient care. 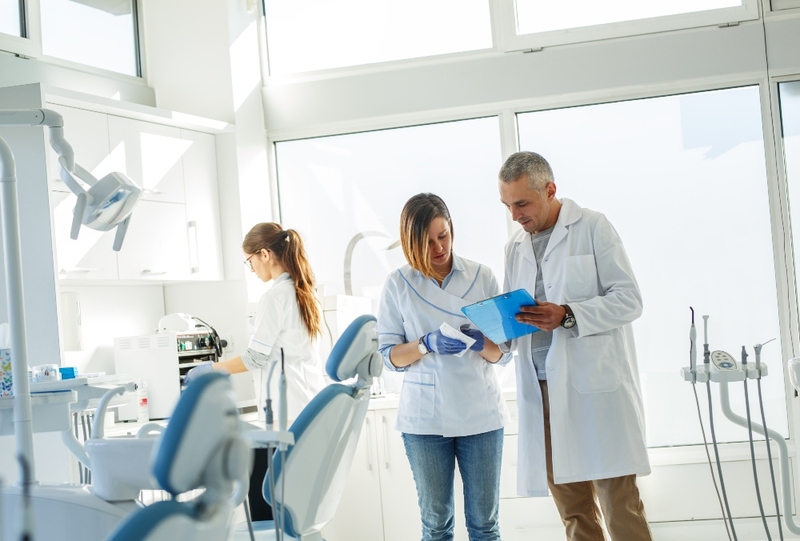 For dentists intending to buy or launch their own practices, it may be helpful to take business management courses, work with advisors who specialize in working with dentists or to seek the advice of dental practice owners. 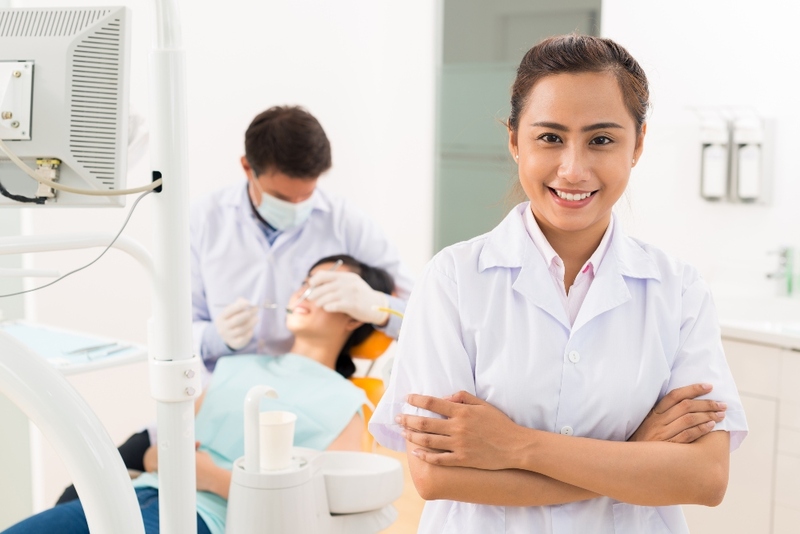 While that preparation may give you some experience managing a staff, there may be things you can do right before and during your onboarding process to help successfully train dental assistants as they join your growing team. Explore and employ our tips for training dental assistants as you prepare to hire the team that will staff your dental practice. If you haven’t already, consider preparing a document of consistent policies and procedures for your dental practice, in advance of hiring staff. Include the information that’s most important to you and your day-to-day operations, whether it’s directly related to staff roles or just important to your brand. You may choose to include high-level business information, including the foundation of your dental practice brand, such as a mission or vision statement and core values, along with more technical information such as specific paid holidays, pay periods, benefit information, etc. Some insurers may provide templates and resources for creating policies for your dental practice. Sharing established policies with your staff may be beneficial to both you and your insurer in the event of future employment disputes or litigation. Research industry best practices as you adopt and create policies, procedures and acknowledgment forms. Then, give a printed set to each staff member as they’re hired. It may also be helpful to set an annual reminder for yourself to review and update the digital documents as needed. If you’re able, new dental assistants may benefit greatly from some time spent shadowing your current assistants, under close supervision. Even very experienced dental assistants may not anticipate your preferences or how things are done in your practice. A shadowing period may allow them a chance to make mistakes that can be corrected quickly, without dire consequences or the risk of developing bad habits. Once you’ve outlined a period of close supervision or mentorship, consider structuring a new dental assistant’s training with a detailed outline of their first two weeks. Include a checklist of specific tasks and information you want covered to ensure training consistency over time and no matter which of your staff shares in onboarding responsibilities. Especially in larger dental practices, it may be difficult to anticipate how everyone will work with your newly hired dental assistant. Consider asking your entire practice to contribute to your onboarding practice from the unique perspective of their role and preferences. An onboarding process that involves your entire team may help to turn frustration or blame into training and mentoring opportunities, empowering your whole team with the responsibility of teaching and helping a new hire. Consider scheduling follow-up meetings with your new hire, both immediately after their first one or two weeks of job shadowing, and again at the end of a 60 or 90-day probationary period. This allows for long and short-term learning, as well as time spent working independently, in which different questions or issues may arise. Even if you were able to take some undergraduate business management courses, as a practicing dentist, you probably won’t begin your practice as a seasoned, experienced business owner. Try to set yourself up for success with reliable resources and smart advisors. The Treloar & Heisel team provides financial services to the dental industry, helping to guide the decisions and careers of dental professionals from training to retirement. Treloar & Heisel, Inc. does not offer legal or human resources advice. Please consult a professional in these areas.